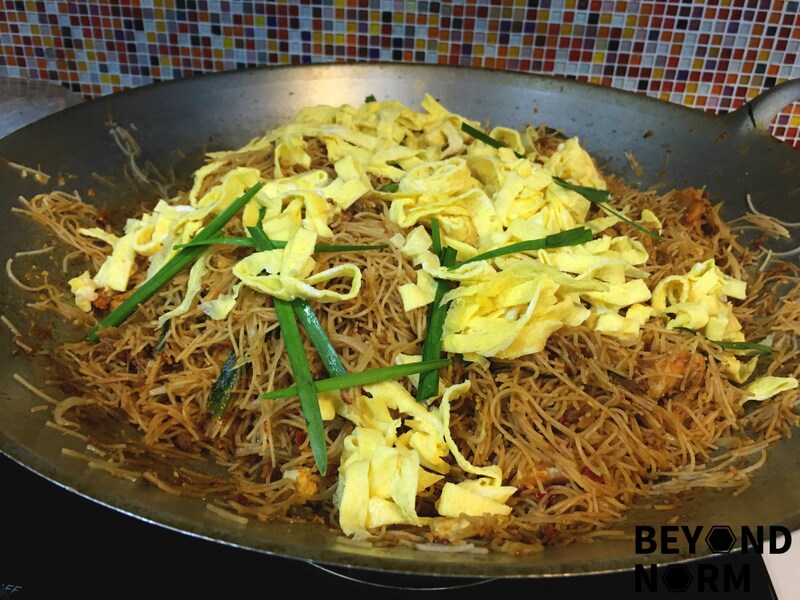 There are two variations of Mee Siam (Spicy Rice Vermicelli), the dry version and the wet version. The dry version is more popular in Malaysia whereas the wet version is a more common sight in Singapore. 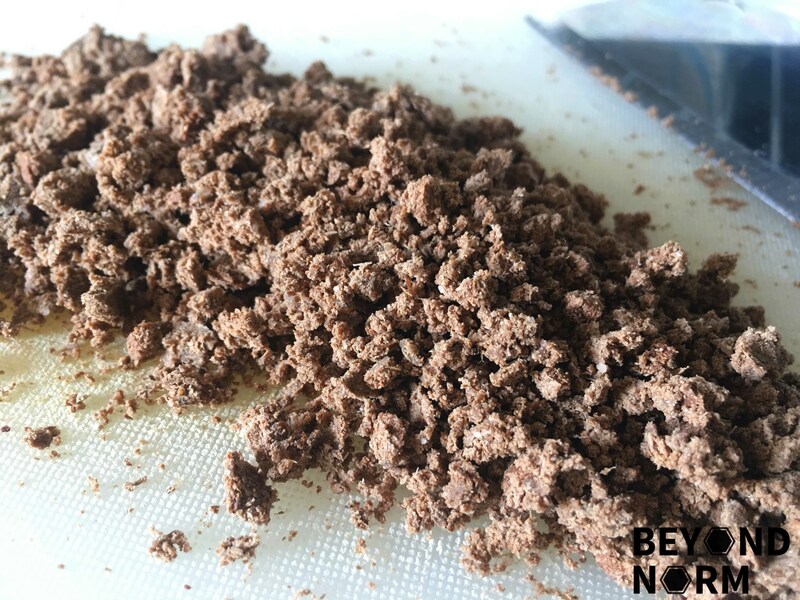 For those who prefer the wet version, I have shared a recipe some time last year which you can try out – Mee Siam (Nyonya Spicy Rice Vermicelli). This spicy noodle is fried with a homemade rempah and prawn broth, prawns, bean sprouts, chives and fried firm tofu. All these yumminess is topped with shredded omelette and served with a piece of small lime to give an extra tangy taste to the dish. If you like it extra hot, a dollop of sambal on the side will make a perfect plate of fried mee siam!!! Soak the vermicelli in water till soft. Drain and set aside. Boil some water in the pot and add in the prawns and boil till the prawns is just cooked (up until it turns red). De-shell the prawns and set aside. Add the prawn shells back into the pot of water and continue to simmer for another 1 hour. Cut the tofu/bean curd into small pieces. Shallow fry in hot oil over medium-low heat till golden brown. Set aside. Cut the chives into 1-inch sections and set aside. Mix the assam with one cup or more of water. Soaked it for 10 minutes and then discard the seeds. Set aside. Fry the eggs into thin omelettes. Cut into thin shreds and set aside. 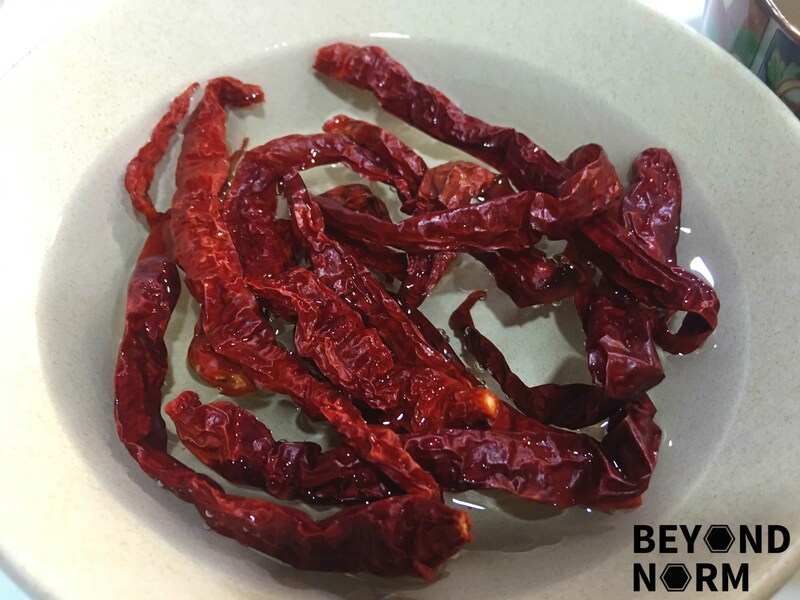 Soak the dried chilies in hot water, squeeze out the water and remove seeds. (If you like it spicy keep the seeds.) Cut into small pieces. Halve the red chilies and remove seeds. Cut into small pieces. Pound both the chilies in a mortar and pestle. Set aside. 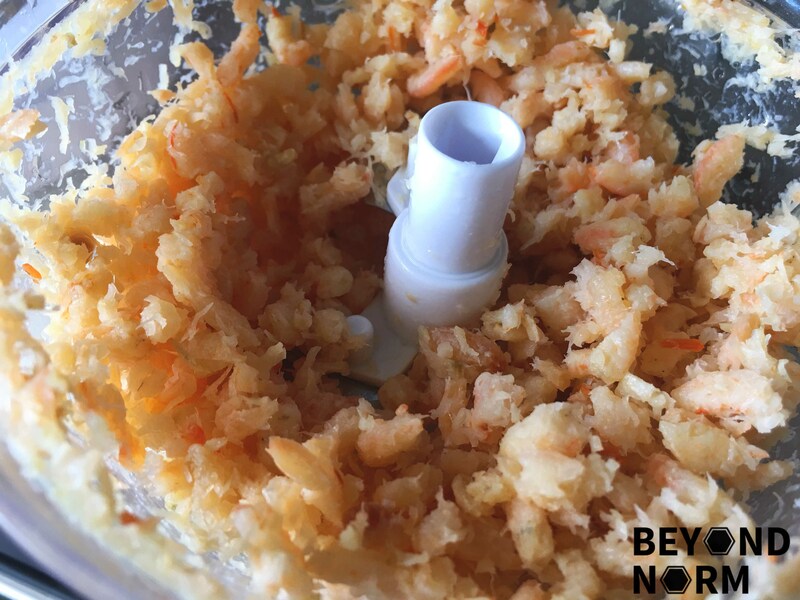 Blend the dried prawns, shallots, and garlic separately. Then set aside. Chop the toasted belacan and set aside. Heat up 4 tablespoons of oil in a wok over medium-low heat. Add in the shallots and garlic, then fry for 1 minute. Then add in the chilli and fry for 1 minute. 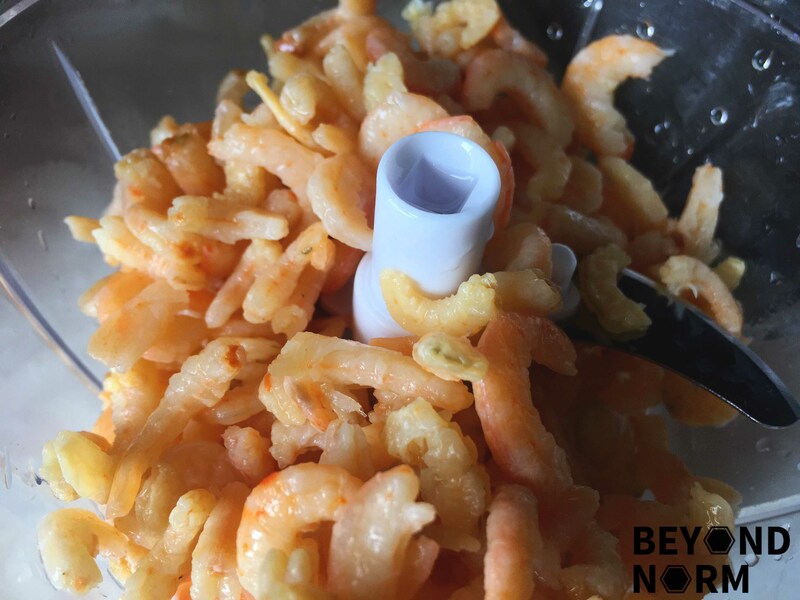 Add in the dried shrimp, fry for 1 minute. Add in belacan and mix well. Add in the soy bean paste/taucheong and combine well. Fry till the mixture is fragrant for about 20 minutes (+/-). As the paste is drying up, add in some sugar and salt (adjust according to taste). Once the rempah is done, add in assam juice and 3 cups of prawn stock. Bring to a boil. Next add in the rice vermicelli and toss well using a pair of tongs and spatula. 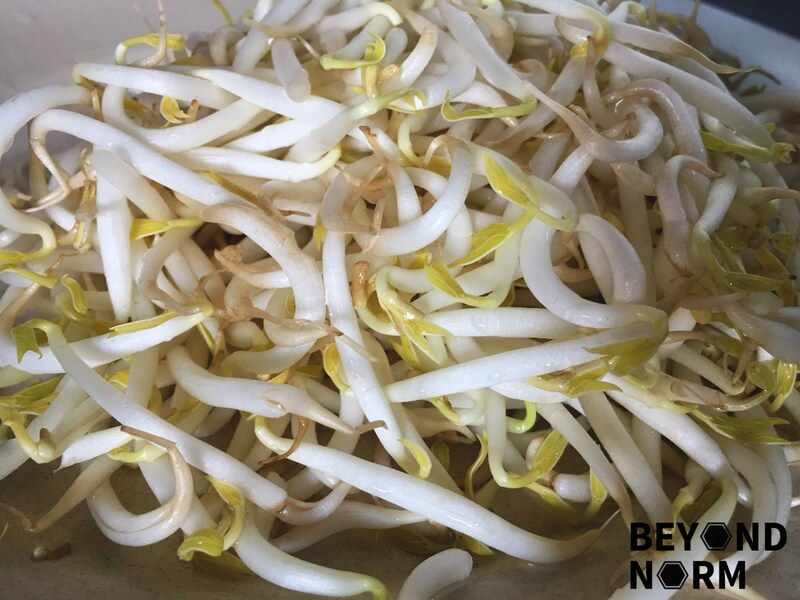 When the rice vermicelli has almost soaked up the liquid in the wok, add in the bean sprouts and chives. Combine well. Add in prawns and fried tofu. Toss well. Garnish with shredded omelette. Serve with small limes and sambal chilli (if you are using) at the side.